Here is the second of the Coffelt twins. This wrap just shows even if you do not have all the same vehicles we can design a wrap to unify your rides. 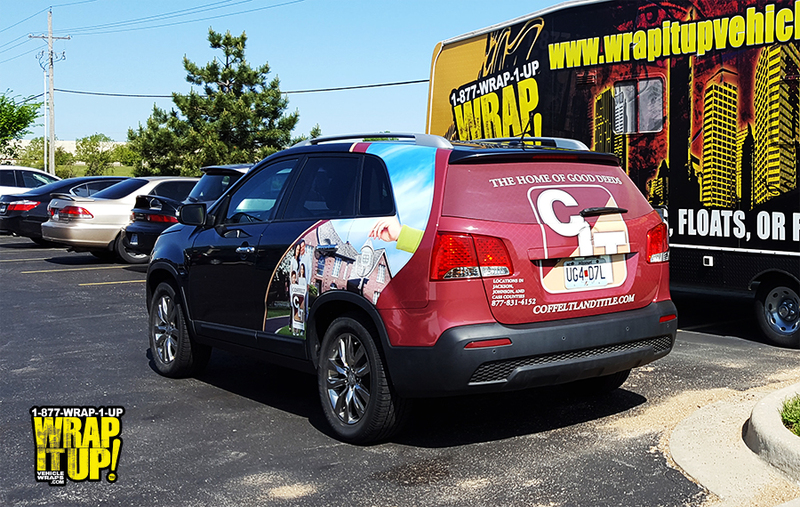 This SUV wrap for Coffelt Land and Tittle worked on a light colored small car and this dark blue mid-sized SUV. If you need any title or escrow assistance make sure you contact the good folks at Coffelt Land and Tittle. Thanks Coffelt!